The third model of the displacement series Mangusta Oceano designed by the Balducci family’s shipyard has set sail from Viareggio. The consignment of that which was dubbed “Project Florence” at the shipyard took place in the private harbour of the Overmarine Group, a shipyard which since the 1950s has delivered 300 vessels, over 100 of which over 30 metres. 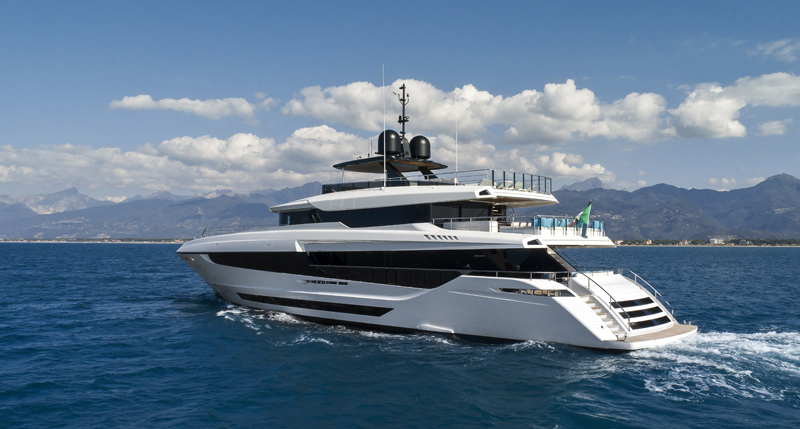 Designed by Alberto Mancini along with the technical offices at Overmarine, the Mangusta Oceano 43 stands out with its high degree of habitability and the same spaces as those of a 50-metre, offering the greatest amount of comfort. All combined with up to 4500 miles at 11 knots on a full tank.